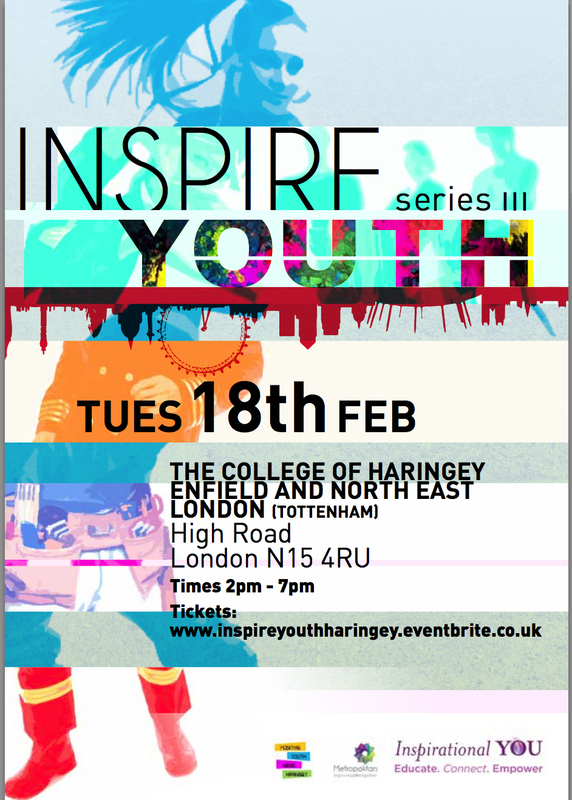 Joshua ‘MckNasty’ McKenzie will be participating in the Inspirational YOU panel ‘The business of the music industry’ on Tuesday 18th February 2014 at The College of Haringey and Enfield in North East London. Josh is one of the most exciting creative figures working in music today. 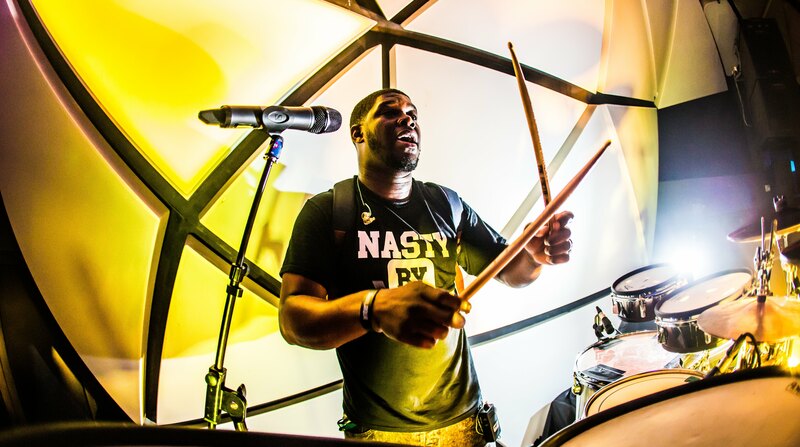 After landing his first professional drumming gig at 16 years old with Daniel Bedingfield, MckNasty went on to play drums with some of pop’s biggest stars Natasha Bedingfield, Lilly Allen, Jamelia, Tinie Tempah, the list goes on. Not content with ‘just’ being a drummer for some of the world’s greats, MckNasty wanted more, the young backpack standing drummer felt the only way to get higher up in the music business was to become a Musical Director, not just a drummer but someone who could bring a studio recorded album into a massive live show. His first opportunity to put this into practice came when he offered to MD his wife Mpho’s live show, on a small budget and with only 2 musicians, it was her idea for him to stand up and bring the kit down towards the front of stage, creating an immersive, collaborative experience for a live audience. Already having made a trademark of drumming with his backpack on, he revolutionised the world of drumming when he decided to stand up and play. “I’d been in Europe for two years on tour with artist called Patrice and when I came back home, all of the young drummers were sounding very different. Drumming had evolved into something that I wasn’t aware of and it freaked me out a bit,” the right-handed, left footed player admits. The idea worked in manifold ways. As well as changing the way he played, it provided MckNasty with an immediate identity, but he wasn’t finished yet. 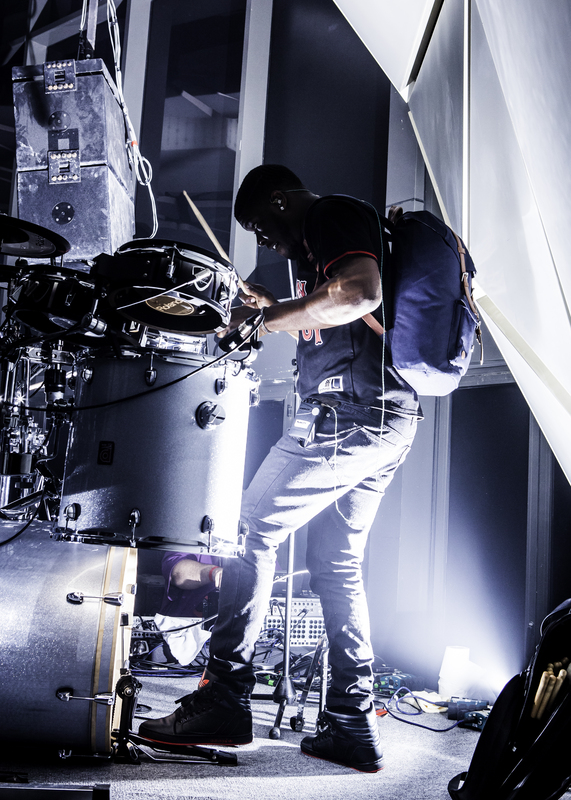 Now having cut his MD teeth on a relatively small gig, he was hired next to be Tinie Tempah’s Musical Director, he talked to Tinie about totally changing the traditional live set-up expected from a Hip Hop artist. 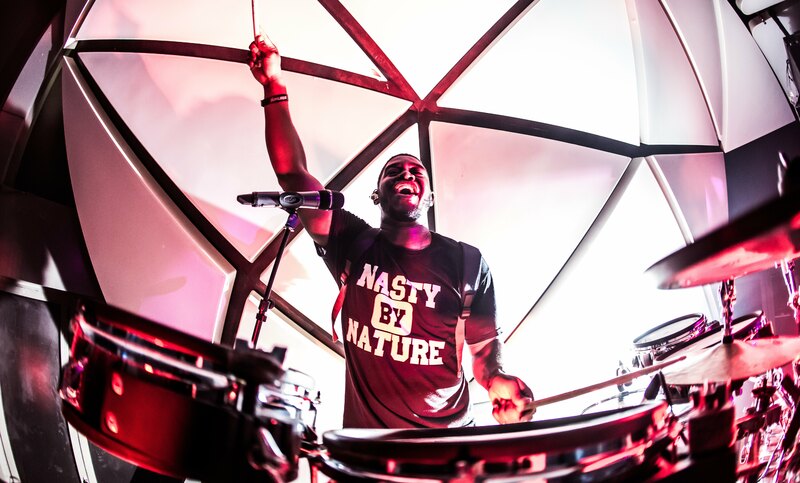 As well as taking Tinie’s songs from CD to the live arena and directing their execution via a full band, MckNasty wanted the drums to be as integral a part of the show as the DJ, guitar or even the artist. As Tinie’s Musical Director, MckNasty bought a palpable live aesthetic to British Urban Music, turning Tinie’s stages into full-on rock concerts and creating an electric live performance. Tinie went from support slot to headline to Arena tour in just under a year; the first urban act to accomplish such a feat. “The show grew from small stages at small festivals, to the Pyramid at Glastonbury and London’s O2, so the bigger things got, the more my creative juices were flowing”. From Glastonbury Pyramid stage to Jools Holland, the Jay Leno Show and Coachella, MckNasty has drummed with, among many others, Emeli Sande, Katy B, Wretch 32, Devlin, and his younger brother Labrinth. 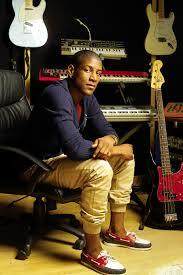 Josh has worked with Natasha beddingfield, Estelle, Jocelyn Brown, and Duffy with Tinie, Wretch, Plan B and Naughty Boy. “Playing with so many amazing people has taught me so much about performance and songwriting. I’ve taken a bit of everyone and put it into the MckNasty pot.” It’s really quite tasty. “Drumming isn’t always seen as a melodic instrument so I try and evoke a melodic vibe. I play other people’s tunes when I’m DJing so when they hear my music I want people to be like ‘That’s MckNasty’! Mcknasty is also developing a TV show, he wants to be the Jools Holland for his generation, and show how integral real musicians are to the industry. He’s already had an incredible career, but we haven’t seen anything yet.